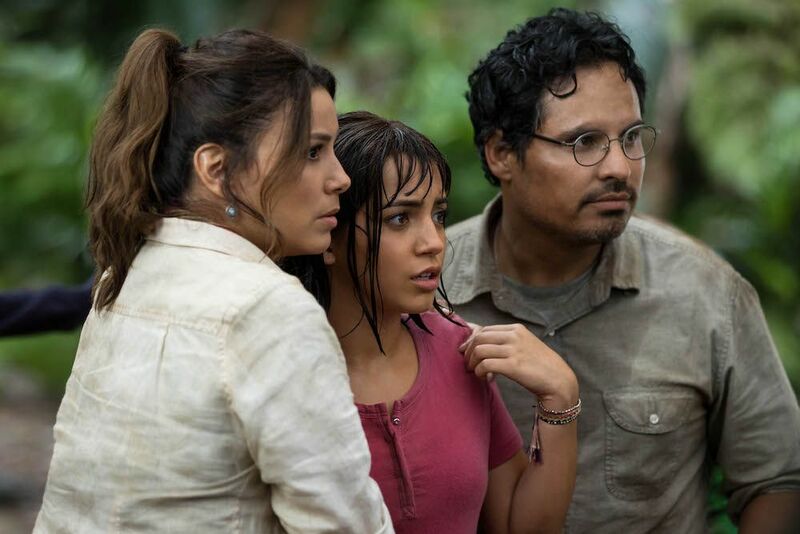 Paramount Pictures has released the first trailer for Dora and the Lost City of Gold, the live-action film based on Nickelodeon’s long-running animated series, Dora the Explorer. James Bobin (Alice Through the Looking Glass) directs a script by Nicholas Stoller (Night School), with Transformers: The Last Knight star Isabela Moner swinging into the title role. This actually looks like a ton of fun for any kids out there still just a bit too young for Raiders of the Lost Ark or the Brendan Fraser Mummy movies. Plus, for the parents, Michael Peña is a constant treasure who elevates everything he’s in, and although Boots the monkey doesn’t say anything in the trailer you absolutely must be made aware he will be voiced by Danny Trejo in the film.